By now, we hope you’ve watched Aly Raisman, the Jewish USA gymnastics team captain, compete in the qualifying round of the Olympics in Rio last night. She was A-M-A-Z-I-N-G. She, along with teammate Simone Biles, will be moving on to the finals later in the games. 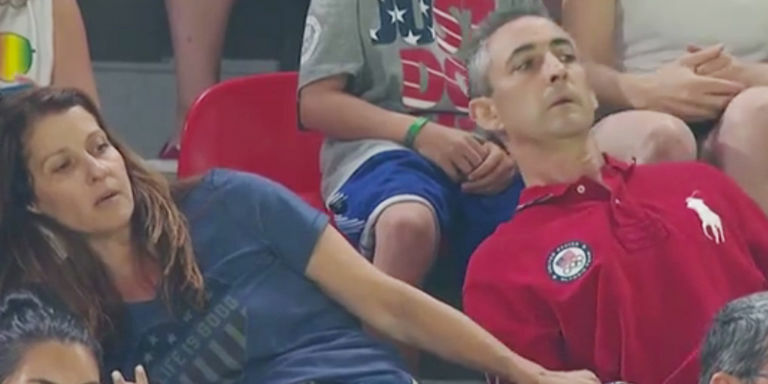 What’s hilarious about all of this, though, are the fact that Raisman’s parents looked like they were on the edge of the seats–because they were. We can’t blame them. Go Aly!